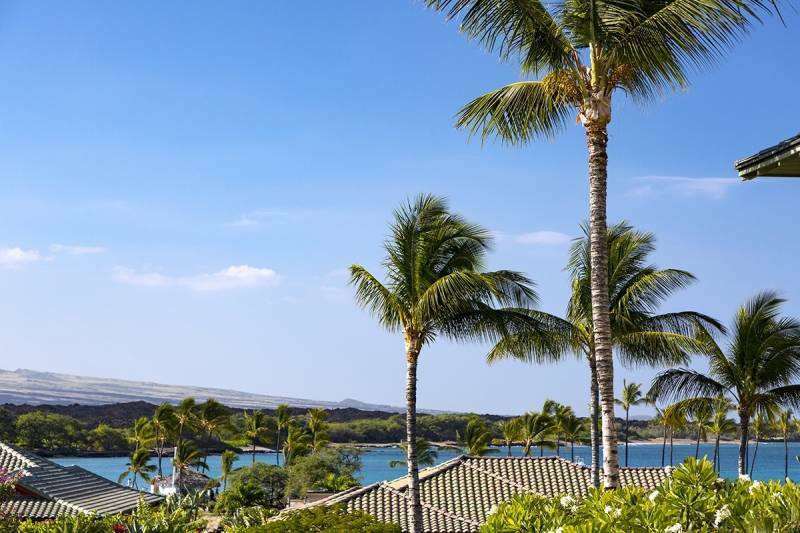 When I last wrote a sales report early in 2018, the market for Kolea condos at Waikoloa Beach Resort looked stronger at the high end than we had seen in several years. While the ten sales recorded in 2018 was only one more than the nine units sold in 2017, the distribution between the smaller two-bedrooms and the larger three-bedroom villas shifted in favor of the larger, more expensive homes. Looking from the pool back towards the Kolea condo complex with 17 home sites along the oceanfront. Seven of the ten Kolea condo sales in 2018 were in the six-plex buildings where the three-bedroom units all have a garage. This compares with less than half of the nine sales in 2017, so the median sales price for Kolea jumped from $1,077,000 to $1,462,500 and the average sale price was at 93.7% of list price. Only a row of single family homes between the Kolea condos and the beach: this is the view from Kolea 13E (MLS 624695) asking $1,675,000, looking over the home on lot 3, which is offered for $5,995,000. The other market news of note is that a front row single family home at Kolea sold for $4,140,000. That particular property had gone to foreclosure before being purchased in 2015 for $$3,195,299. There is currently one residence for sale at Kolea, asking price $5,995,000 (MLS 607446), which is well below what the seller paid for the home in 2006 ($7.5 million). Whether condominiums or single family homes, the market at Kolea is still well below where the developer priced when I was on the sales team in 2005-2007, although showing a healthy recovery from the post-2008 lows. With 16 active listings, and an average of only 9-10 sales per year, buyers have a wide choice and likely some negotiating power as not every seller will get a sale this year. Every floor plan is available at the moment. In the 12-plex buildings, the smaller interior two bed/two bath starts at $699,000, the larger exterior two bedroom at $849,000, and there is one of the rare three bed/two bath offered for $1,060,000. In the six-plex buildings, the ground floor three bedrooms (no ocean view) start at $1,249,000. 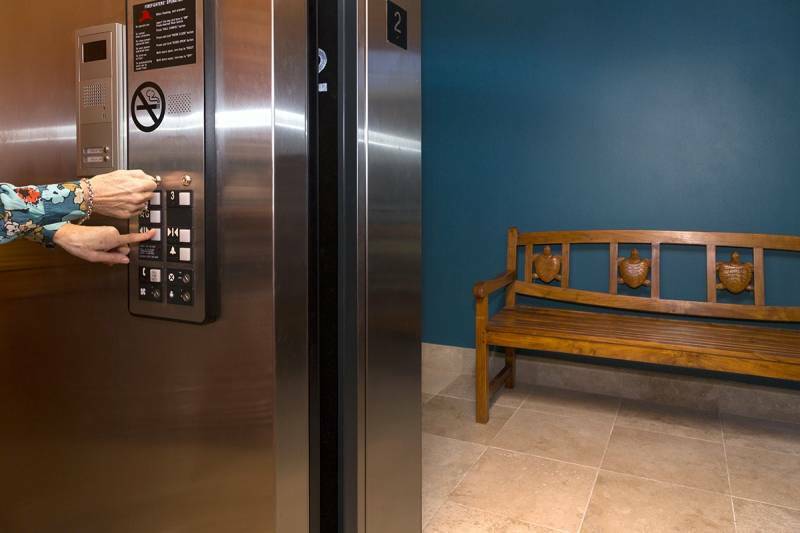 The second and third floor units range from $1,648,000 to $1,999,000 and are accessed with a keyed elevator for security and privacy. 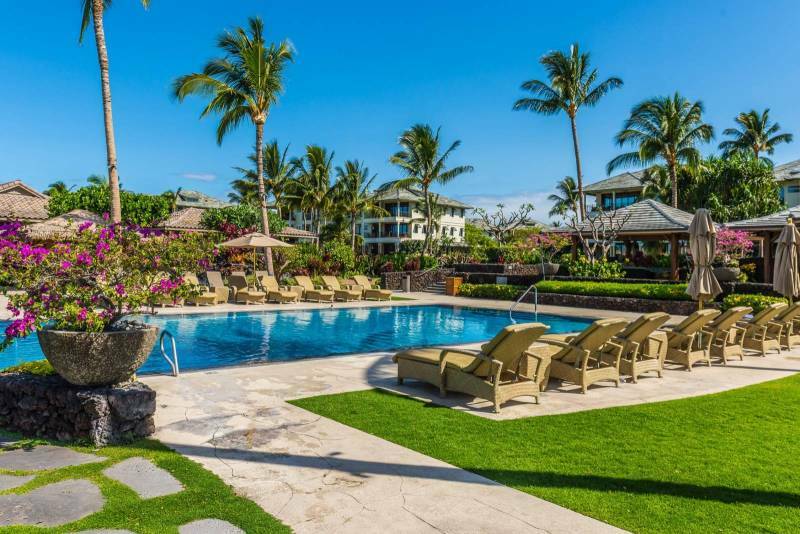 Kolea is the only true walk-to-the-beach condominium complex on the Kohala Coast. It is also located conveniently near the two shopping centers at Waikoloa Beach Resort. Happy to answer any questions about whether this community is right for you.